I remember hanging out of my window as a teenager gazing up at the starry sky and feeling awe-struck. While on one of the first camping trips I went on up in Aberdeenshire a good looking 24-year old who had his arms wrapped around me pointed out many constellations, and as we stood watching the night sky we saw a shooting star. I have a few friends who have saved up their pennies and bought themselves telescopes. It is not difficult to understand why. It is common to most members of our delightful human family that we are memorised by the skies. The immensity and the sheer beauty. I wish I knew more about the stars and constellations. On my own, there is only one constellation that I can pick out with absolute certainty. Orion – the hunter. Some years ago I read about discoveries that have been made since the Hubble telescope was launched. The article focused on Orion for some time. Since this was a constellation I knew, I read with avid interest. What I read simply knocked my socks off! 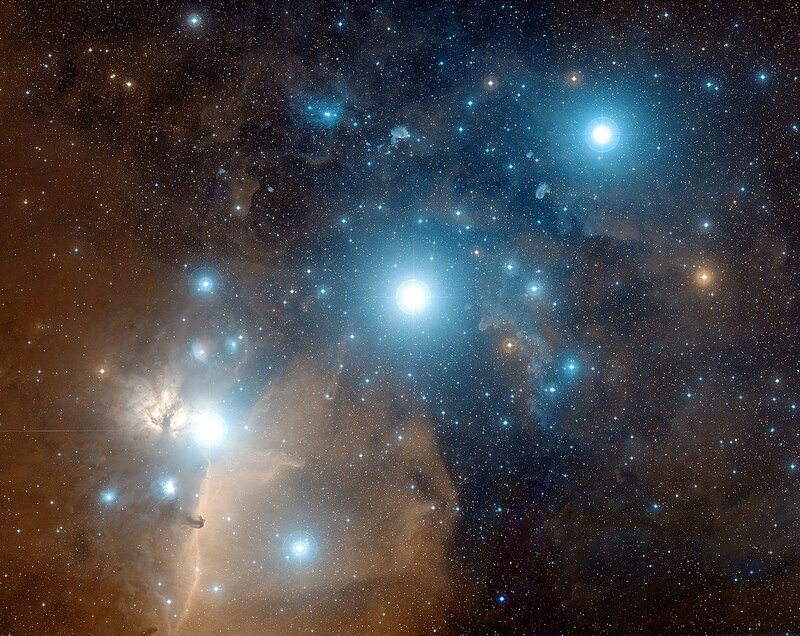 From the three stars of Orion’s belt dangles his sword. The fuzzy star in the middle of the sword is not really a star at all but the famous Orion Nebula, an object of striking beauty even when seen through a backyard telescope. Astronomers were investigating the Orion Nebula and its many young stars because it is the largest and most active region of starbirth in our part of the Galaxy. The nebula appears to be a cosmic maternity ward! It seems that stars—indeed, entire solar systems—are being born at this moment in the Orion Nebula? Rather mind-boggling! I am not going to even pretend to know much about the stars and galaxies. I have read as much as I can get hold of, but it’s a minuscule fraction of what is out there. Beyond anything humans can imagine, let alone make…it is awe-inspiring and humbling to realize utterly phenomenal this universe is. I am would love to go on and on…but truth be told…there are no words…but I am sure you have felt exactly the same way as I have when you gazed up at starry skies. Aren’t we privileged?!!! So beautiful. Thank you for sharing that.